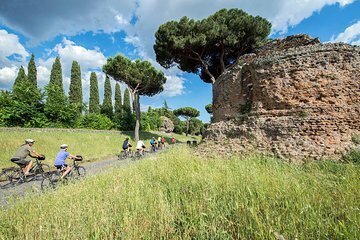 Discover the Appian Way by bike during this private half-day tour. Go for a guided cycle and pedal along cobblestones dating back to Ancient Rome. Visit several top landmarks including the San Callisto Catacombs and the Tomb of Cecilia Metella during the 12-mile route. See popular sites such as the Circus Maximus and the Baths of Caracalla.